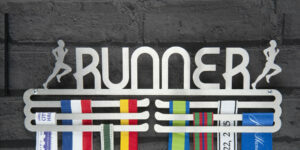 The medal display hanger for the female runner with a large collection of running medals to display. 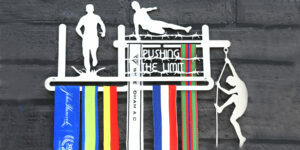 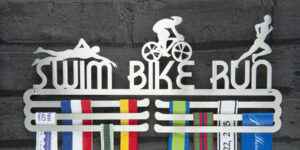 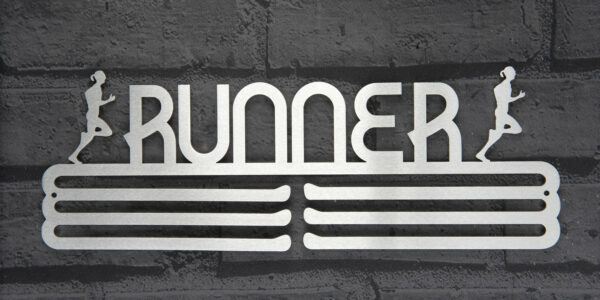 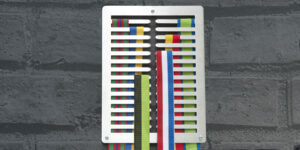 Use this multi tier laser cut 2mm brushed stainless steel hanger to display medals from all of your running races. 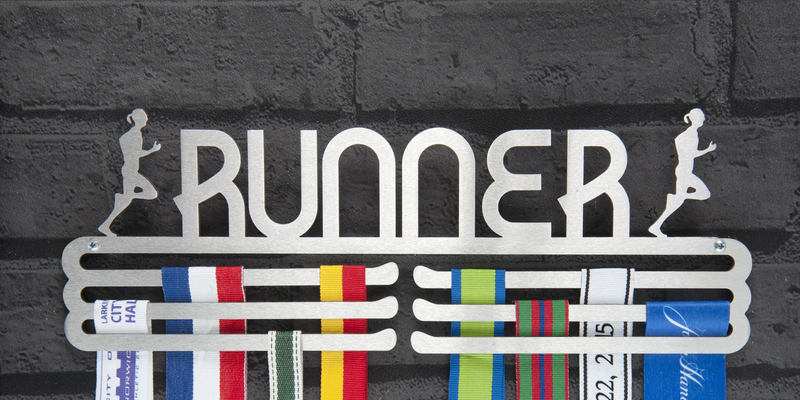 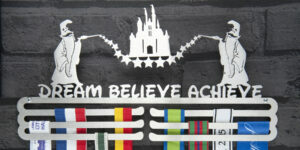 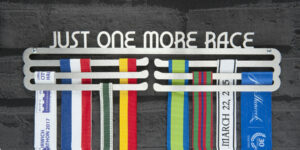 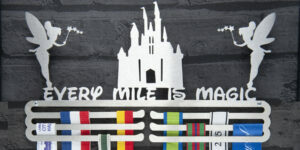 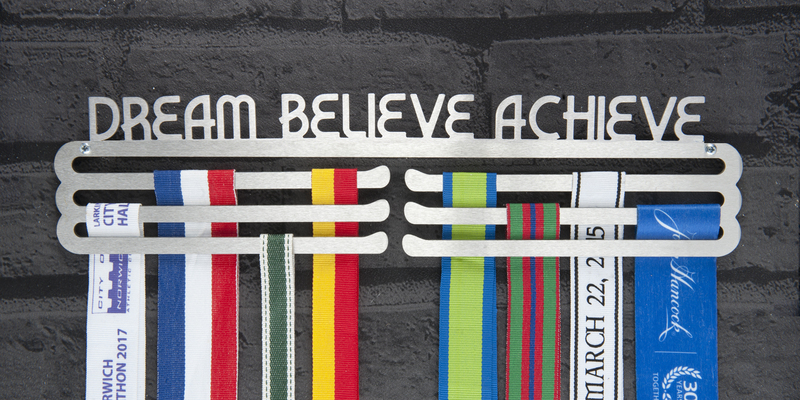 Create your own Runner’s Wall and display your medals with pride! Reference: RUNNER FEMALE MULTI TIER. 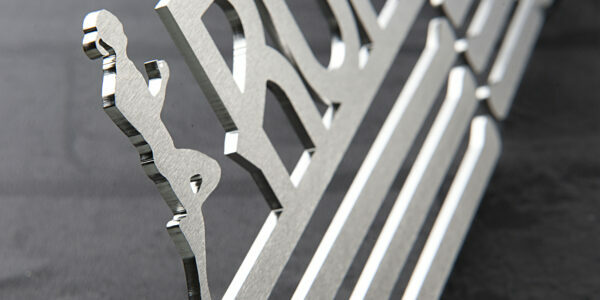 330 x 115 x 2mm.